Last Saturday I was able to be apart of an epic adventure with some great friends! (Nicole, Broc, Gabe and Josh). The warrior dash is a 5K obstacle course that contains climbing over walls, crawling under barbed wire, sledging through mud pits and jumping over fire! The course was at Lake Elsinore which is a two-hour drive from Los Angeles. Our particular excursion was very appropriate for pre-warrior dash contestants. 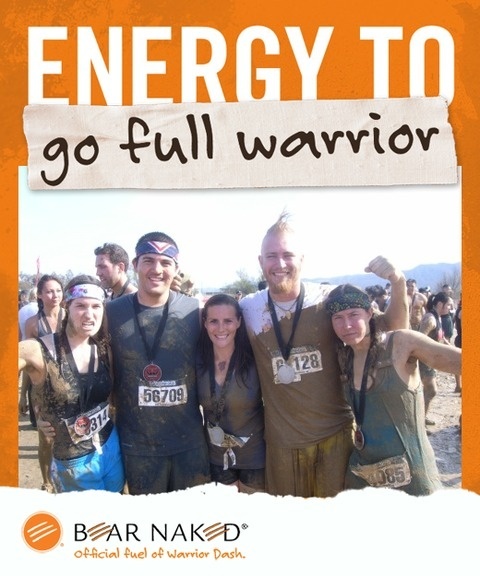 We stopped every half hour or so for the bathroom and thought Chik-fil-a was a decent meal before hurdling through obstacles…waffle fries included. When we arrived, it was very cold, so we wore our jackets which immediately became unnecessary after our ten minute walk to the festival tents. Our race began at 3 PM. The sun was embracing our bodies like they were in an oven. The first mile was easy peasy; the tire hurdle was the first obstacle. Then we had to crawl under barbed wire and jump over hurdles. I had met a few people on the trail at this time, and the conversations while running this course were friendly. No competitive angry runners here. The climbing obstacles came next…rope walls, rock walls, rope quilted walls, teetering obstacles, jumping and pole sliding etc. It was all great fun. Then a loooong run going up and around creek beds and trees…I thought it would never end and then, a slide. It went all the way into the lake. The slide was fast and slick. I hit a very cold lake! I thought I was going to go into shock! There was an obstacle in the lake. You must crawl over these floating blocks (4 I believe). Due to my height, (lack thereof) I had to become fully submerged in the freezing lake in order to jump onto the blocks. As soon as I made it over those blocks I RAN out of that water, up the hill and hurdled over flames of fire! From this I immediately face planted into the mud pit. I crawled through the warmest and what seemed like the cleanest mud I have ever had the pleasure to swim in. This was the last obstacle. It’s harder than I thought, crawling through mud that has barbed wire over it. I finished just over 30 minutes. Turns out I placed 30 in my division out of 10,000 contestants. Pretty fun for the first try. I hope to beat my time before next year!